When you’re on your way to a gorgeous vacation rental located right on the beach, it can be hard for your children to sit still during the journey. The “Are we there yet?” mantra might start up when the GPS says there are still a lot of miles to go. One clever parenting trick is to keep everyone entertained and occupied, and before your kids know it, it’s time to hit the beach. Here are three games your family might enjoy during your next road trip. 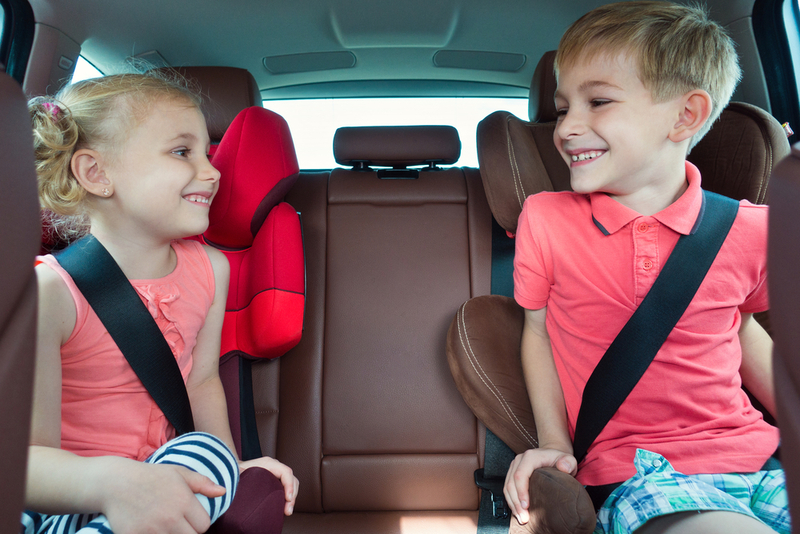 Part of the fun of going on a road trip is exploring the countryside, so take advantage of that boring time in the car by playing “I spy” with your kids. Try to choose an object near the horizon so your children have time to spot the mystery object. As you play, give subtle clues about the item by giving a single hint such as “I spy something bright orange,” then let your children guess. The winner of the game gets to give the next clue. For bonus rounds, pull over during rest stops and choose difficult items in the distance to give your kids the chance to soak in the scene. Let the radio host your next road trip game by playing “name that tune.” As you listen to the radio, challenge your family to name the artist, song title, or album name. The first person to guess the tune, track, album, or artist correctly gets a point. For younger kids, play CDs they know and love or make the rules less strict when awarding points. Play until you get to your vacation rental, then tally up the scores and award the winner a prize. For longer stretches of travel at night, consider playing simple memory games with your kids. For instance, ask members of your family to list as many grocery items as they can, and when they run out of ideas, ask the next child or family member to repeat that list, and then add items of their own. Whether your family loves car trips or are just itching to get to the beach, the team at Sugar Sands Realty & Management, Inc can help to pair you with the perfect vacation rental for your next getaway. As managers of more than 200 condos located in great beach destinations, these professionals have an innate understanding of the Orange Beach and Gulf Shores, AL, area, making it simple to book your next vacation. Explore their listings today online or give one of their specialists a call at (251) 974-1672 to learn more about what’s available.